Commercial relocations can be easy if you use professional assistance. Fortunately for you, you won’t have to look long in order to find competent and reliable movers as you have already found us. We are seasoned man and van contractors and we have been in the removal business for a number of years. Today we are considered to be one of the most qualified movers in London due to the fact that we always manage to match the demands of our clients and complete their relocations projects in full accord with the highest standards of the removal industry. Now Removals London ensures the wellbeing of larger items by covering them with specialised blankets which will protect them from unwanted scratched, dents and marks. Keep in mind that we can easily load and unload immense quantities of goods as we use only the finest and latest lifting instruments. All business removals in London are organised and carried out by our capable and hard-working packers, carriers and drivers. We have handpicked every single one of our workers because we firmly believe that a company is only as good as its employees. You should also know that we put our movers through mandatory training sessions during which they study and master the newest packing, loading and driving techniques. You can easily hire us for your upcoming commercial relocations as we work with a flexible and well-organised agenda. Also don’t be hesitant to contact us on a short notice because we accept last minute bookings. We also conduct late night operations which means that we can carry out your move without disturbing your daily operations. You can hire us by telephone, e-mail or the online booking form which we have posted on your website. 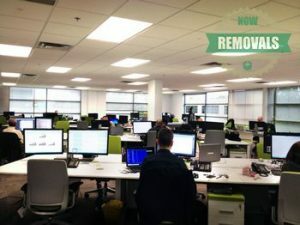 Learn more about our company and the methods of work by which we handle the London business removals for which we are hired by exploring our website. Also don’t be shy to contact our consultants in case you wish to request your personalised, free and non-binding quote. Our company is based in London, one of the most important cities in world. The English capital has an estimate population of 14 million people (metropolitan area included) and therefore is one of the most populous cities in Europe. London is also the location of several world famous landmarks such as the British Museum, Tate Modern, the London Eye, Tower Bridge, the Tower of London, Big Ben, Buckingham Palace and more. The presence of so many internationally known sites has made the British capital a top tourist destination and according to the latest statistics is currently the most visited city in the world.